Lithographed by Henri Gillet 1854 (April-August): 5 c. very deep brown, wmk. pos. 1, an unused example with large margins all round and portion of adjoining stamp at right, of fresh vibrant colour with just a tinge of red pigment, without gum. 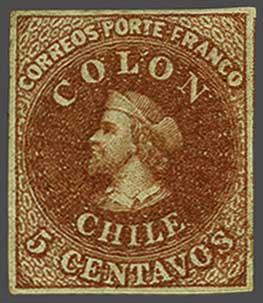 A delightful example of an extremely rare stamp. Cert. BPA (1992) Gi. 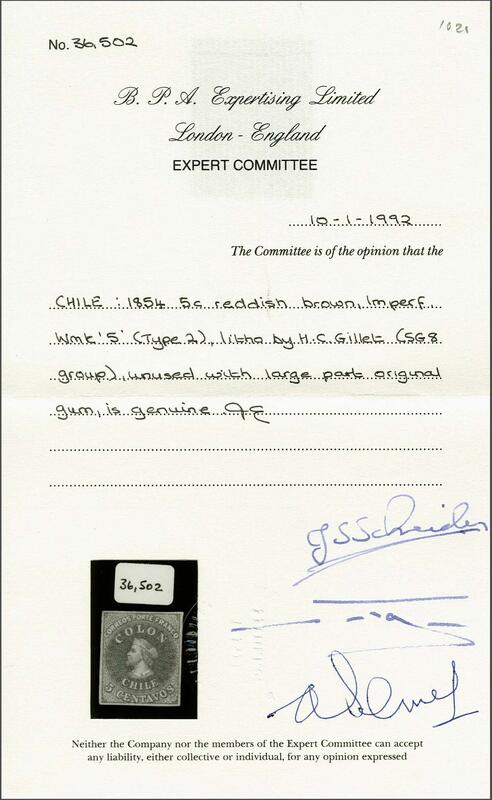 6.rnProvenance: Collection Gerhard Blank, RL, Dec 1991, lot 1020.